Conveyor units are the perfect solution when a workbench does not fit the workspace near an assembly or packing application. We have put together a few tpyes of units here to show how they can be configured. 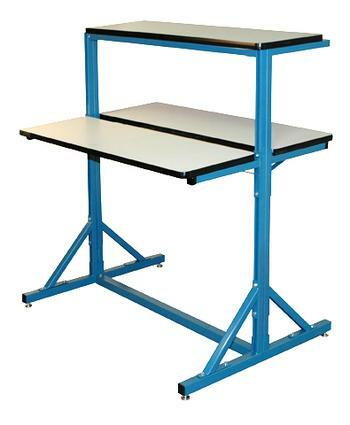 There are two basic units available also where you can choose from any of our workbench accessories to outfit one with the options you prefer.